Statisticians define an outlier as an observation point that is distant from other observations in a statistical analysis. Often, this occurs by chance. Additional modeling or deeper analysis (including more data, for example, or a longer range of data) can often correct for this. Outliers that are not the result of measurement error are often excluded from analysis about a data set. Today, the 2017 results from the National Assessment of Educational Progress (NAEP) were released. This release made me think of a particular outlier. Those words — “fastest improving state in the nation” — have been uttered by Haslam and many political leaders in our state for years now. Often, this 2013 “success” is used as justification for “keeping our foot on the gas” and continuing an aggressive agenda of test-based accountability and teacher evaluation based on methods lacking validity. Oh, and that new TNReady test has so far not been very ready. Tennessee earns a grade of F when it comes to funding effort compared to funding ability. The researchers looked at Gross State Product and Personal Income data in order to determine a state’s funding ability then looked at dollars spent per $1000 (in either GSP or Personal Income) to determine effort. Tennessee spends $29 on schools for every $1000 generated in Gross State Product. When it comes to Personal Income, Tennessee spends just $33 per $1000 of average personal income. That’s a rank of 42 in both. Then, the report looks at wage competitiveness — how much teachers earn relative to similarly-educated professionals. I’ve written about this before, and Tennessee typically doesn’t do well in this regard. Maybe we are closing achievement gaps? Again, no. Back in 2013, Tennessee students eligible for free/reduced lunch had an average NAEP reading score of 256 and scored 20 points below the non-eligible students. Now, that average score is 252 (four points worse) and 19 points below. For 4th grade, there’s a similar story, with free/reduced lunch eligible students scoring 25 points below their non-eligible peers this year. Four years ago, it was 26 points. We’re not moving the needle. Our most vulnerable students continue to be left behind. Meanwhile, we hear nice words from top policymakers and see little actual result in terms of tangible improved investment in schools or any meaningful upgrade in teacher pay. Our testing system has yet to be proven. 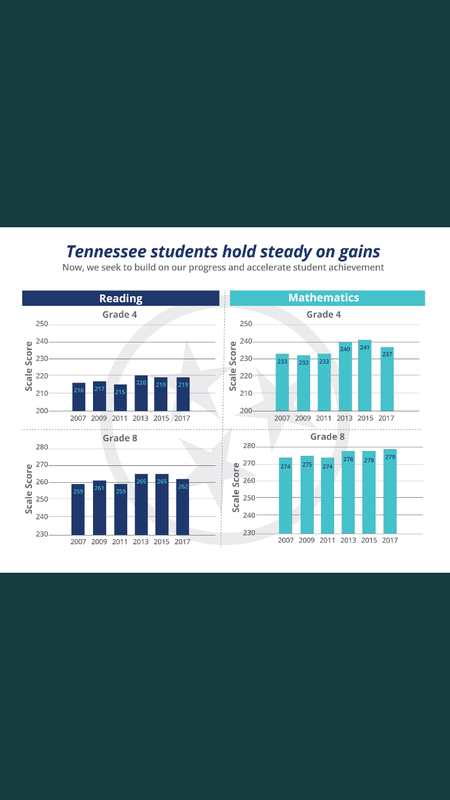 Maybe now Tennessee policymakers will stop repeating the “fastest-improving” line and start doing the actual work of investing in and supporting our schools. In any case, the next time you hear someone spout off that tired “fastest-improving” line, just yell back: OUTLIER! Members of the Williamson County Commission’s Education Committee voted unanimously Monday night in favor of a resolution supporting changes in the state’s BEP formula that would direct additional state resources to the wealthiest county in the state. 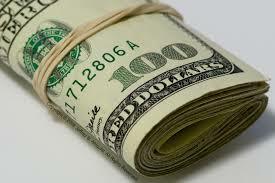 Williamson County is also the 7th wealthiest county in the United States. Members of the Williamson County Commission’s education committee voted unanimously Monday night to approve a resolution of support for state legislation that would modify the Basic Education Program (BEP) to provide Williamson County and others a more reasonable allotment of state funding for education. I suppose “reasonable allotment” is in the eye of the beholder. The state’s funding formula for schools, the BEP, is designed to provide all districts a base level of funding to support public education. The formula came about in response to a successful lawsuit by small, rural districts who sued suggesting the way the state was funding schools was unequal. In 1992, the General Assembly enacted the Education Improvement Act which included the Basic Education Plan (BEP) as a new school funding formula. One of the primary goals of this formula was (and still is) equity. What the legislation sponsored by Jack Johnson would do is direct additional state resources to the five school districts in the state with the greatest ability to pay. While the BEP certainly has shortcomings, I would suggest finding ways to direct more state funds to a county quite capable (but unwilling) to dedicate local resources to schools is not a very responsible use of state taxpayer dollars. To be clear, improving the BEP by making formula adjustments (adding a component for RTI, for example), would necessarily mean additional funds going to Williamson County. Williamson County has the lowest property tax rate of any county in Middle Tennessee. Williamson County has the lowest property tax rate of any county in Tennessee with a population over 100,000. Williamson County is the wealthiest county in the state of Tennessee and 7th wealthiest in the United States. Williamson County Commissioners have been reluctant to raise property taxes in order to continue to provide resources to schools. 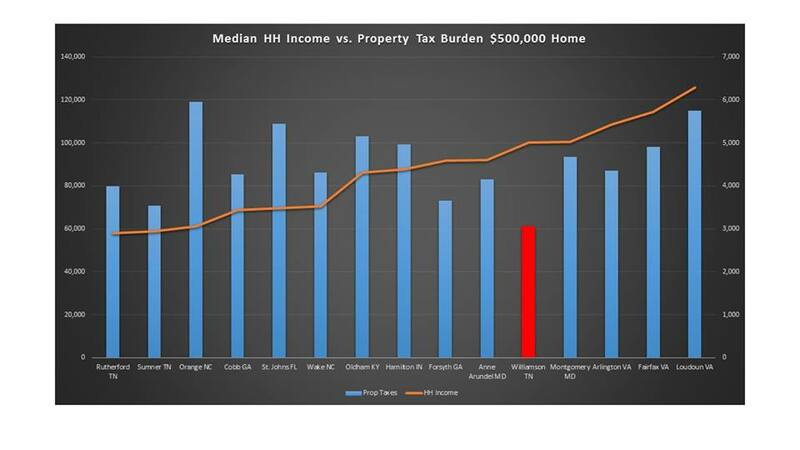 That red bar on the chart is Williamson County, with a property tax burden on a $500,000 home of just over $3000. That’s just over 3% of the average household income, far lower than similar communities in Tennessee and across the country. Plus, as Chilton notes, Tennesseans pay no personal income tax. Despite these facts, Williamson County Commissioners are headed to the state with their hands out, begging for more help. Tennessee is a state making long overdue improvements in public education. As more state dollars become available, those dollars should absolutely be invested in continuing to improve our public schools. By closing the teacher pay gap, for example. Giving money to those districts that have the ability to generate funds on their own but won’t is not a pressing need in our state. In fact, doing so would only serve to exacerbate the inequity the BEP was intended to address. Of course, these Williamson County Commissioners aren’t concerned about inequity. They are clearly concerned about ensuring one of America’s wealthiest communities continues to pay bargain basement prices for its public schools. Policymakers should reject this rich get richer scheme and focus on education needs that will benefit every district and lift up those least able to generate funds for schools.